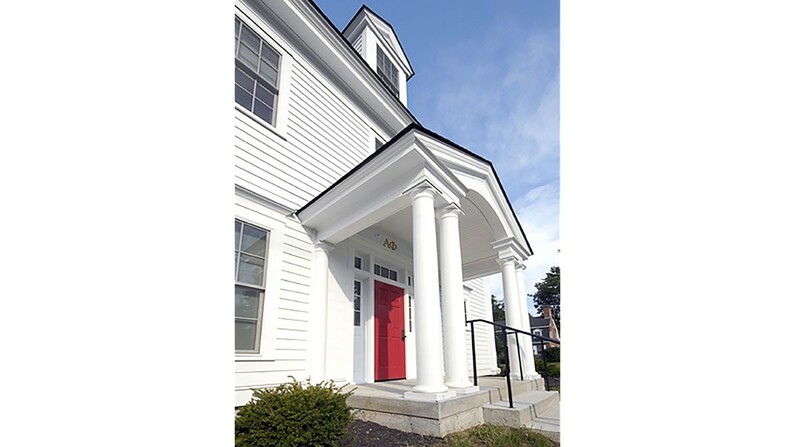 This new sorority house is located where the central campus transitions to a residential area. 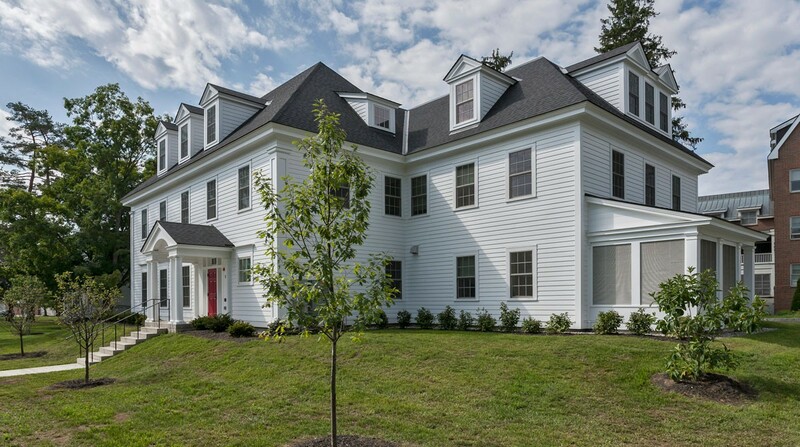 The building massing and detailing were designed to relate to the Colonial Revival fraternity and sorority houses on campus while respecting the scale of the nearby single family residences. 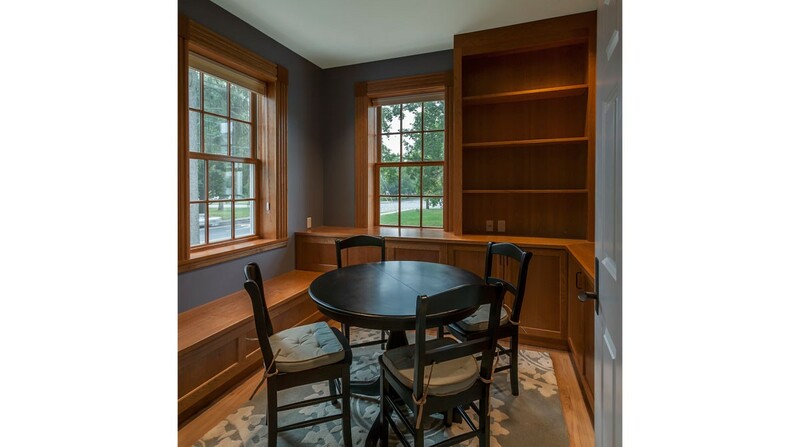 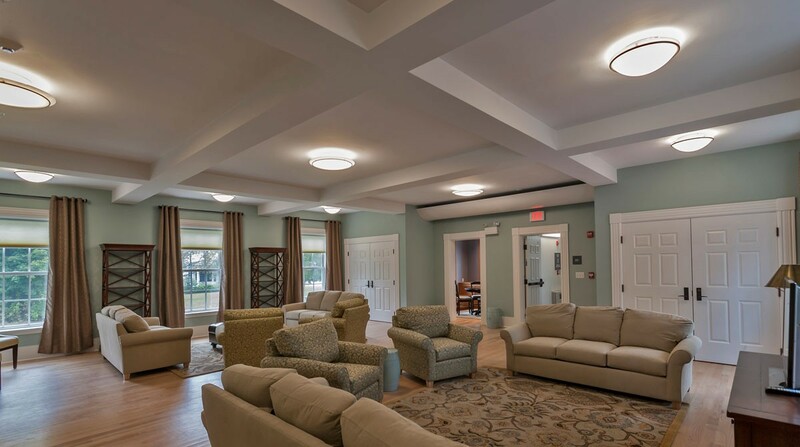 The first floor provides public spaces with a large meeting room in which the whole sorority can assemble as well as a communal dining room and kitchen. 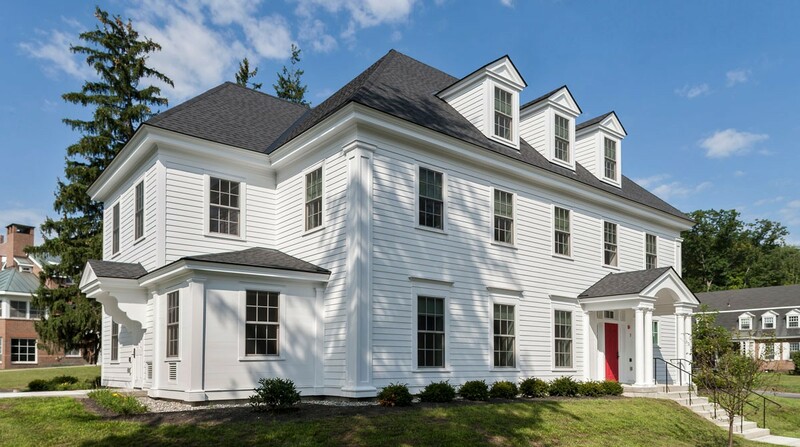 All 23 bedrooms are singles with the third floor bedrooms tucked into the space of the hipped roof. 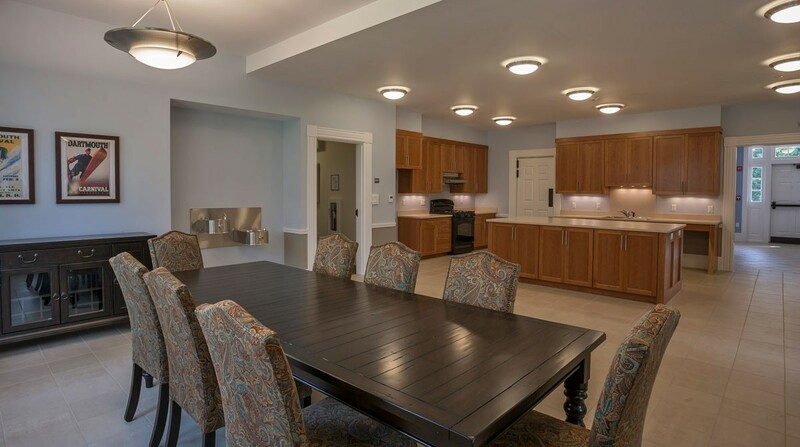 An elevator provides universal access to the private function room, laundry and service spaces located in the basement. 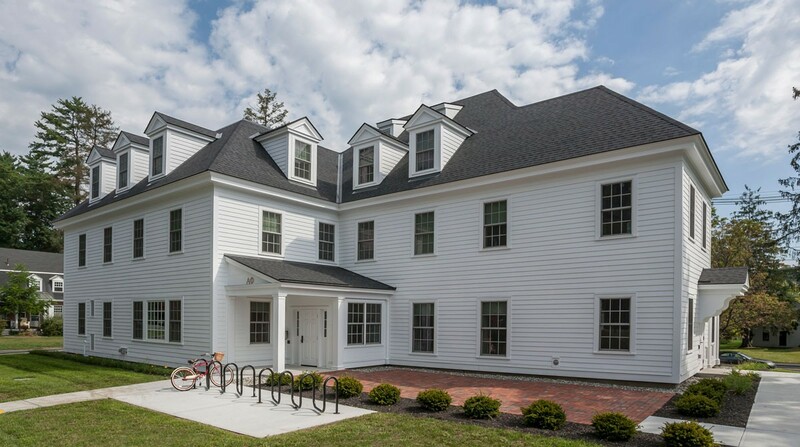 As part of Dartmouth's continued commitment to sustainable design, the high performance thermal envelope together with innovative heating and cooling technologies and LED lighting are projected to reduce operating costs significantly.